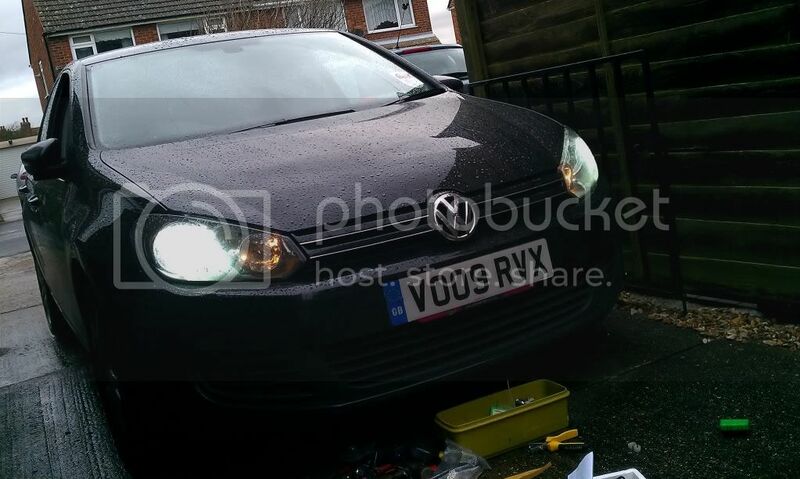 I've always had HIDS in my cars, never had any issues with the police, but the Golf proved a problem as the bulb makes contact inside the headlight housing using electrical contacts. This mean you are going to either make new looms, or cut the existing, I went for the latter. 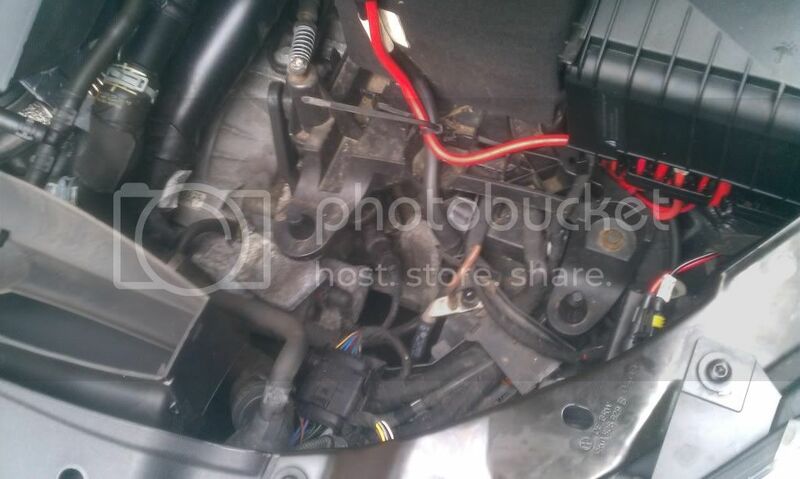 You'll only need to do the passenger side, it's a pain on the TDI as the air filter and fuse box is in the way, use a flatblade screwdriver to remove the headlamp connector. It'll pull off with a little force. Then, look for a thick yellow and blue wire, and a thick brown wire, these are you positive and ground. Use a set of wire strippers to pull back about 1cm. Then remove the airbox, about 10 screws and then the top pulls off, then take the filter out and give the base a good tug, it's on rubber plugs, it'll come with force, also take the fuse cover off. Now, cut the 2 wires mentioned above, I used connecting blocks at a 5a rating, 10a ones would make it less fiddly. Insert the wires how ever is it's easy for you, I connected the bottom first, screwed it tight, and the added the HID connector to the top of the connecting block and tightened it all up. You now have the wiring needed for the 40a wiring harness. The harness I bought for £10 from HIDS4U, one end goes on the battery terminal, 2 plugs for the ballasts and 2 ground wires and one for the connector we just wired up. 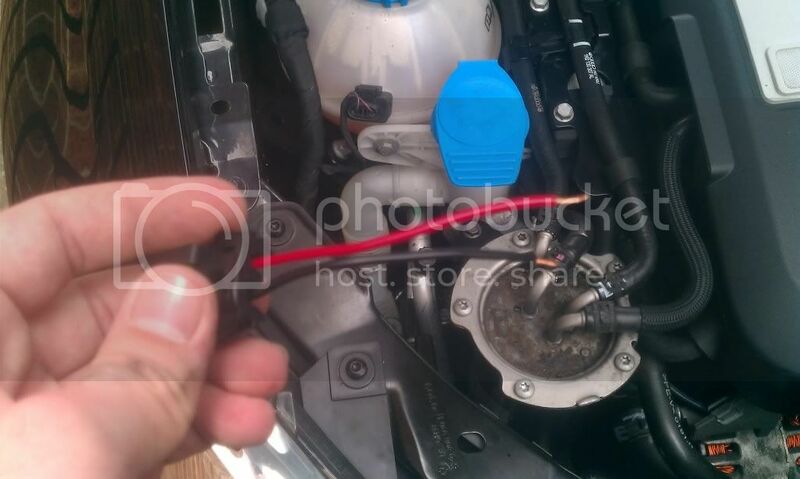 I ground the 2 black wires by chipping some of the paint off underneath one of the headlight screws. You'll need a torx bit for this. 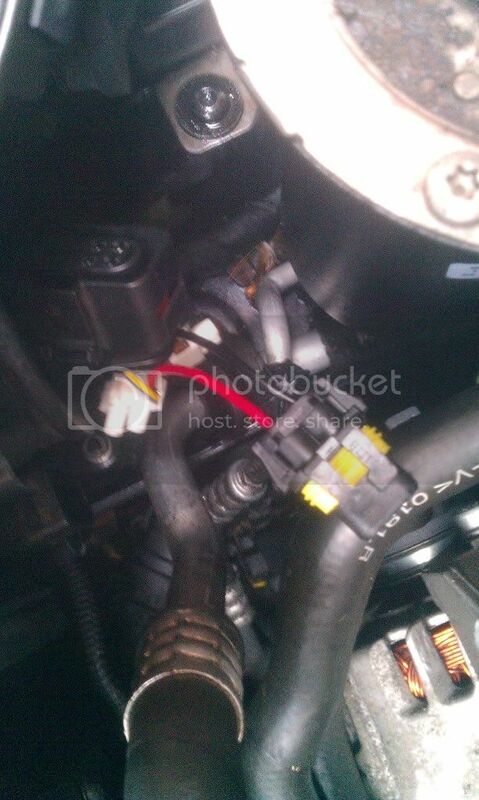 Then remove the bolt on the Positive terminal on the battery, and place the ring terminal and bolt back down. All you need to do then is plug your ballasts in, and then connect the last plug to the one you wired directly to your lighting loom. Sorry I don't have pictures of these as it was raining, the wiring harness is self explanatory and easy to wire up. The next problem is the bulbs, you'll need the bulb holders, but they are fiddly to get in the housing with the bulb, take your time, be patient and make sure the both line up the same way, you'll get there. Next connect the bulbs to the ballasts and test, first with just ignition, and then with engine. You'll get a bulb out warning for the side that has nothing going to it. This can be sorted with a 100w resistor. All the is left to do is pop the rubber covers back on, you can cut a hole in them to make them seal or they do fit over with abit of effort and no cutting. Or you could watch this video http://www.youtube.com/watch?v=UCAb9xvVsyY all you need is new bulb holders to modify and that's it! Cheap official bulb holders below!